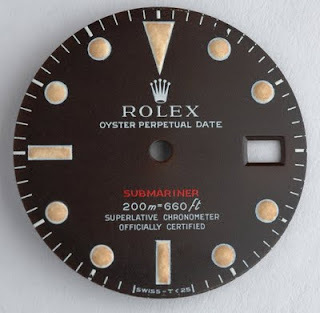 Rolex Submariner RED Meters First Dial Sells For $10,000. Yes you read that right, this dial sold for a little over $10,000.00. It was an original Rolex Submariner flat black dial with Submariner being printed in RED. The other thing that made this dial worth much more is that it has the meters listed first rather than the more common version that lists the feet first. Another version of this dial would be what is known as the Double Red. We will post some pictures of the Double Red version later. Below are some pictures of this dial. 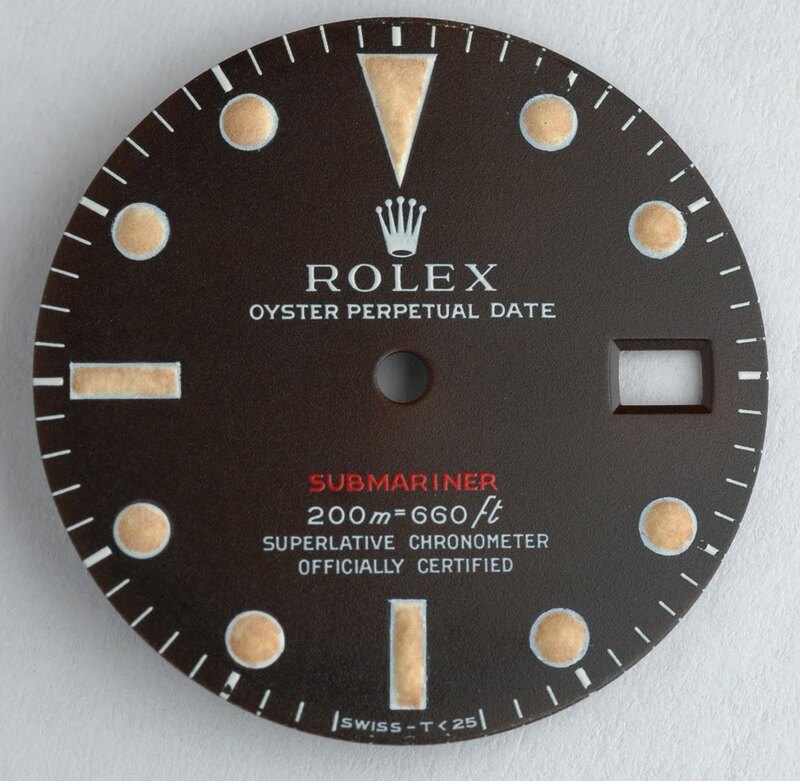 Note the original details as well as the black colored flat background of the dial. Rolex Mid-Size Registered Design 68000. DateJust. The Registered Design 68000 is a mid-sized Rolex watch that is made of stainless steel. The interesting thing about this watch is the fact that it uses a typical ladies 2135 Rolex movement. The dials have the usual Rolex markings. The movement fits into a spacer ring which allows it to fit into the larger case. These are very good running watches. The crystal is sapphire. Rolex Sapphire Crystal Conversion For Rolex Design 1603. 295C Crystal. This is another example of a Rolex sapphire crystal conversion. As explained in a previous posting of a Rolex Registered Design 16030, this Rolex design is a 1603 which has the 18kt. gold machined bezel and also an 18kt. gold crown. Both examples use a 295C crystal with a height 3 nylon gasket. Other Rolex crystals that the 295C replaces are the 135, 118 and the 114. These crystals are available from Antique Time and can be seen at http://www.rolexcrystal.com/. All prices listed include installation. Antique Time provides expert Rolex Sapphire Crystal conversions to replace old looking and out-dated plastic crystals. Please feel free to contact us for all of your Rolex crystal needs. Rolex Sapphire Crystal Conversion For Rolex Design 16030. 295C Crystal. Sapphire crystal conversions for Rolex watches are available now from Antique Time http://www.horologist.com/. The following men's Rolex is a Registered Design number 16030. This model uses a higher than normal plastic crystal. In order to convert this model to a sapphire crystal requires a taller nylon crystal gasket. When the new sapphire crystal is installed the bezel may have to be replaced with a higher machined bezel in order to completely cover the nylon gasket. When adding a diamond bezel to this watch after the conversion has been installed a slightly thicker diamond bezel can be used to compensate for the heigth difference. All of the pictures below show the 16030 design after the conversion crystal has been installed. For converting your Rolex to a new and modern sapphire crystal please contact Antique Time http://www.horologist.com/. 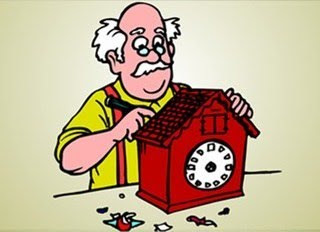 Father Time Pictures And Other Watch Related Pictures. 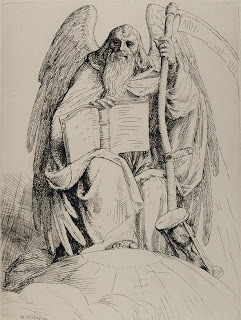 I thought it would be interesting to post some pictures of Father Time along with some other pictures that relate to watches. 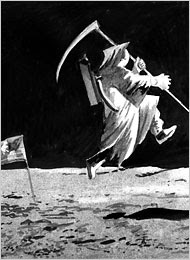 I thought this one of Father Time on the moon was amusing. 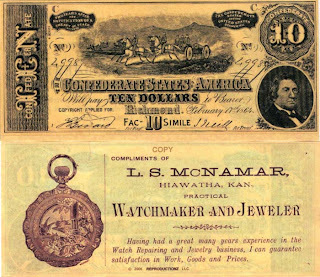 This is one of my favorites about a dealer who sold Waltham pocket watches. This was from about 1900. 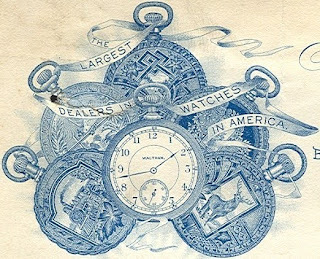 This picture show a page from a watch supply house that also sold watchmaker signs. 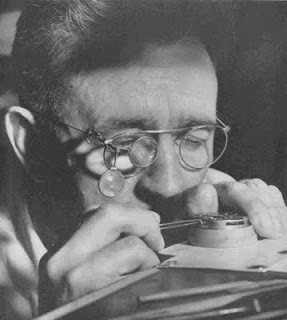 This is a watchmaker at work at the old Elgin National Watch Company. 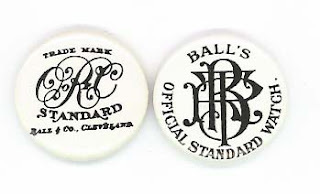 Advertising pinback buttons from the Ball Watch Company, Cleveland, Ohio. 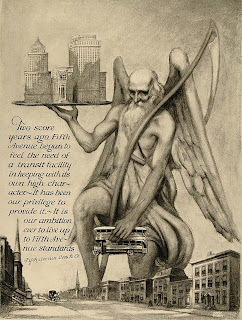 Father Time image used in a bus advertisement. 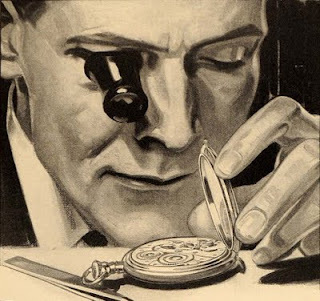 Watchmaker looking at a pocket watch. We have many more pictures that we have collected over the years. We will post some more advertisements in another posting. Labels: Watchmakers and Father Time images. It is very interesting just how long a men's Rolex can actually function even when the movement displays an obvious lack or care and maintenance. The pictures below show a Rolex mainspring barrel along with its spring and arbor. You can see that the lubricant or grease has totally dried out leaving behind a thick abrasive paste like substance. It is very important to properly maintain your Rolex to prevent this type of abuse. Dried grease and lubricants can cause premature wear of the movement. DON'T LET THIS HAPPEN TO YOUR ROLEX! You should have your Rolex serviced every 5 to 7 years depending on your personal wearing habits. Note the thick dried grease which is also comprised of fine metal particles from the mainspring. The barrel arbor is located at the center of the barrel. Failure to maintain this Rolex resulted in having to replace the entire mainspring barrel along with the arbor. Just another view of the Rolex barrel. For more information about Rolex service and repair please feel free to visit http://www.horologist.com/. Hamilton Pocket Watch Motor Barrel Information. 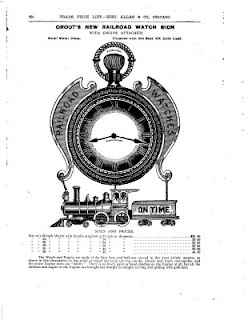 The Hamilton Pocket Watch was one of the most well built and constructed watches used in railroad service. Hamilton had many inovations which made them very good timekeepers. One of unique features was the motor barrel which supplied even and constant power to the gear train of the movement. Below are some documents which relate to this feature along with some other interesting Hamilton information. This diagram shows how the motor barrel operates. Note the fact that the motor barrel uses two arbors as compared to only one barrel arbor as found in most pocket watches. The barrel contains the mainspring which powers the gear train of the watch. Rolex Hairspring Guards Used In Movement Reference 1570. Hairspring guards are designed to prevent the coils of the hairspring from jumping over another coil in the hairspring. When this happens the movement will start to run at a much faster rate often gaining several hours per day. 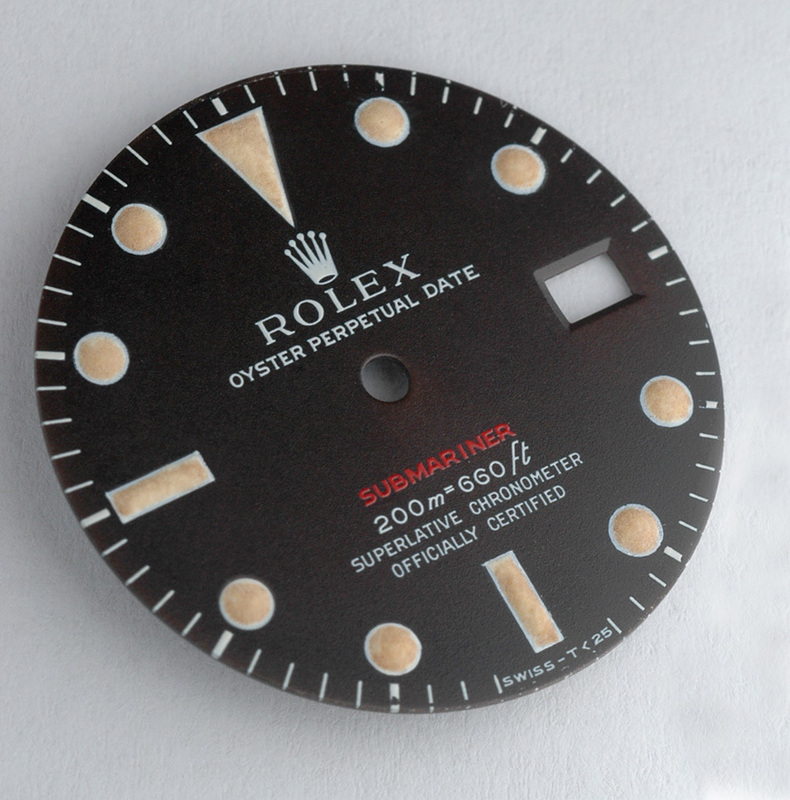 Hairspring guards are most often found in early Submariner or GMT Master Rolex watches. These early Rolex movements used a blue colored hairspring rather than the white alloy hairspring found in the later models. The movements with the blue hairspring have a slower beat per hour vs the white alloy hairsprings. Below are some pictures of the hairspring guard found in a Rolex movement 1570. The movement serial number is D905606. This shows the hairspring guard which is the brass wire that is over the balance at the left. Here is another view showing the hairspring guard extending over the hairspring to the center of the balance wheel. This view shows the hairspring guard over the balance. Most of these movements have a hole for installing the guard. The base of the guard has a notch so that it can be rotated away from the hairspring in order to remove the balance for service. A side view of the Rolex 1570 movement showing the hairspring guard over the balance wheel and hairspring. 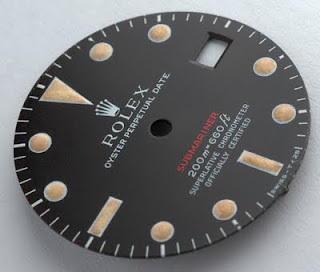 This is the dial side of the Rolex 1570 movement showing the date wheel and dial washer. These Rolex movements are some of the best designed movements that Rolex manufactured. They are very durable and rugged and will last many years and provide good timekeeping abilities if properly maintained. If the watch is to be used in a rough environment where it might be subjected to shocks and extreme bumps it may be necessary to have the hairspring guard installed to prevent the coils from jumping over one another. Rolex Diamond Bezels Professionally Installed Best Prices Available. Antique Time is your source for fine quality diamond bezels for your Rolex watch. Each bezel is professionally installed and are designed to fit your Rolex to exacting standards and specifications. Gents Rolex President with a new diamond bezel. Each of our diamond bezels are manufactured to fit your Rolex to exacting specifications. The carat weights are identical to those sold by Rolex. You also have your choice of diamond quality and weight. Correct sized bezels should not extend over the edge of the watch case. There should be clearance to properly operate the crown of the watch. Be sure to contact Antique Time for the purchase of your fine quality diamond bezel. We also offer the best in Rolex Service and Repair. We look forward to taking care of all your Rolex service needs. 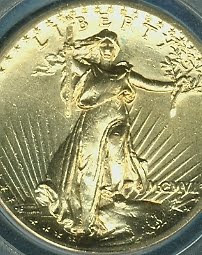 Saint Gaudens High Relief Double Eagle Gold Coin 1907. 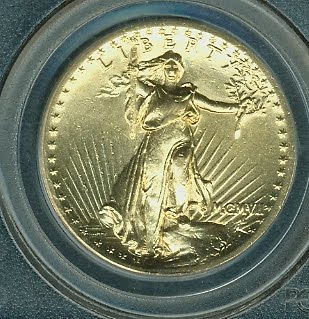 The most beautiful Twenty Dollar gold piece ever minted by the United States was the Saint Gaudens Double Eagle. The most amazing one was the High Relief one that was minted in 1907. 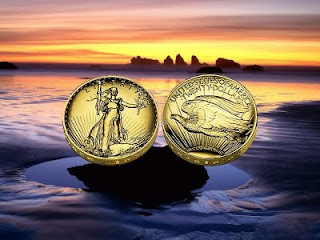 Now in 2009 the mint has again struck another High Relief Double Eagle that is based on the original Saint Gaudens design. The coin shown below is an original one struck in 1907. 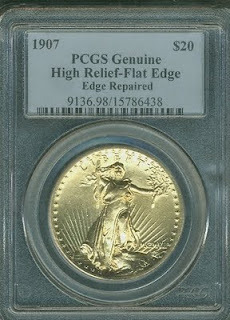 Coin in PCGS grading holder. This is the reverse side of the coin with the Flying Eagle. Note the Roman Numerals used for the date. 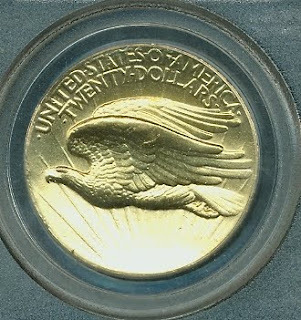 Detailed view of the reverse side of the coin with the Flying Eagle. 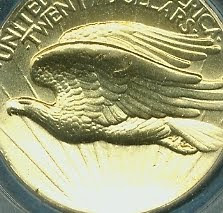 You can see the very high relief of the Eagle on this coin. Note the Roman Numeral date and high relief details on the obverse side of the coin. These coins can be purchased for prices ranging from about $7500.00 to as much as $10,000.00 in conditions that are still very good and not showing much wear at all. 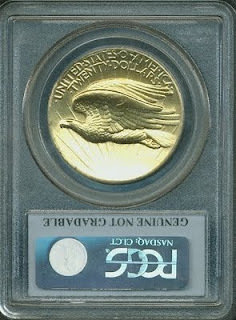 This is a picture of the new Saint Gaudens Double Eagle that has been struck by the United States Mint. We will feature this coin in another posting.